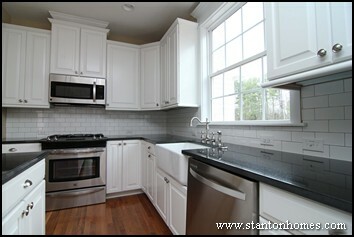 What’s cooking in today’s kitchens are designer details with everyday appeal. 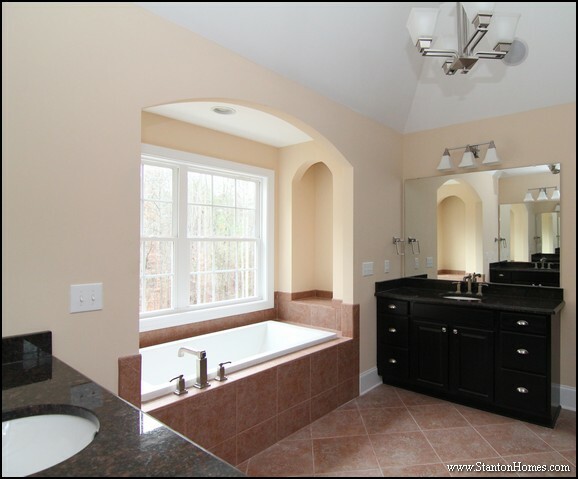 Here’s what’s causing excitement, when your North Carolina custom home builder creates the most popular room in your new home with everything just the way you want it. 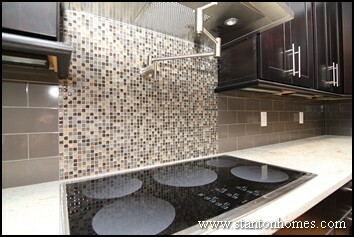 Make a splash without all the carrying, with a built-in pot filler that customizes your cookstove. Pull it out when you want it. Tuck it back when you’re done. Pot fillers tap a basic need with a luxury touch that adds charm and flexibility to any kitchen. 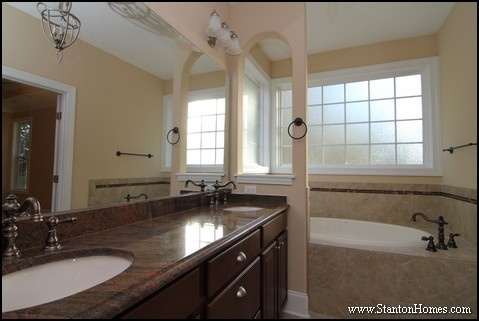 The style and finish of the pot filler can blend into your decor, or can be designed to make a stand-out statement. A separate “prep sink” in the island is perfect for chef hobbyists, as well as family and friends who gather to “help” and chat in the kitchen. 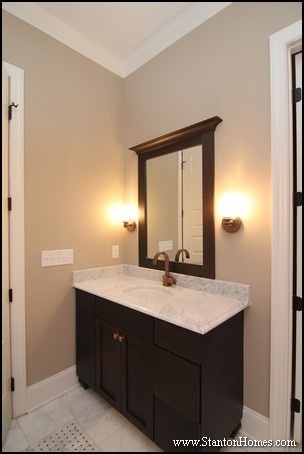 Separate sinks set into a bar are becoming more of a regular feature in today’s custom homes, where casual living centers around the kitchen – and the extra space (and water source) is handy. 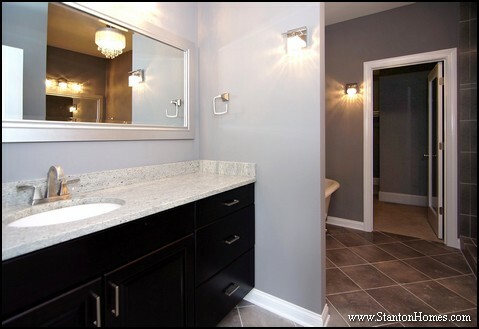 Whether you want a special place to wash vegetables and fruit, fill up water glasses, or wash hands between tasks, the flexibility and accessibility of a prep sink will be addictive! This custom home kitchen design - a version of the Kelley- has a great approach to an on-the-go alternative to meals at the dinner table. 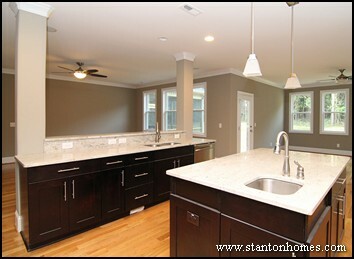 A raised eating/serving bar built into the island is a top-requested kitchen feature in custom homes. 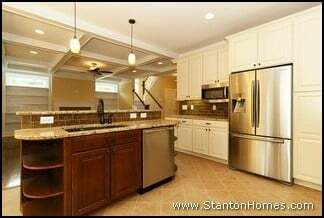 Kitchens with raised eating/serving bars are often designed to supplement alternative casual eating areas – in addition to more formal dining choices. 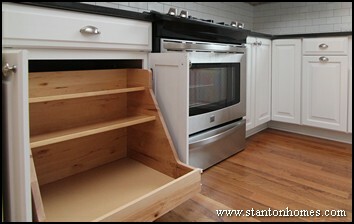 For example, in this design, the nook area has a built-in brunch table. 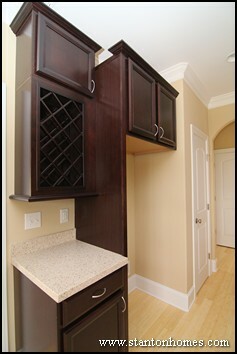 Built-in wine racks can be designed as a bold centerpiece of the kitchen, or as discrete private collection space. In this custom designed, green certified kitchen, the choice of a large built-in wine rack designed to display select vintages serves as a connoisseur’s focal point. 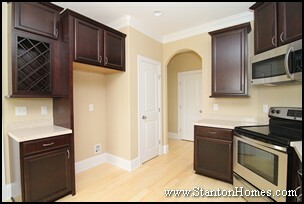 Another favorite location for a built-in wine rack and/or wine refrigerator is a butler's pantry. 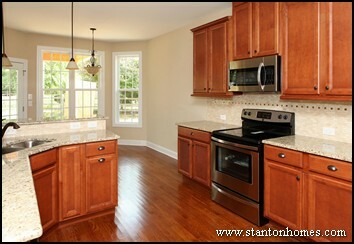 Convenient storage solutions are a top request in new home kitchens. 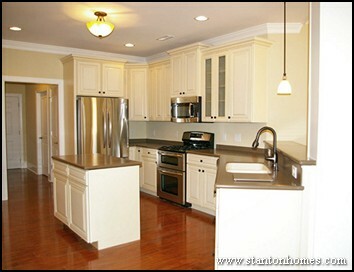 There’s no need for clutter on your counters when there are so many choices for your cupboards. 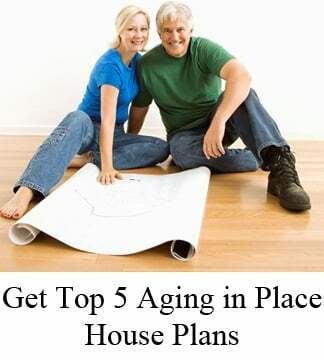 And when you ask your builder to extend the existing space in your floor plan, you can get even more places to store, underneath the serving bar, eating bar area, or island. Special features like pot and pan organizers, lazy Susans, recycling centers, roll-out tray dividers, cutlery dividers, and plastic bag storage units – the choices are endless when you design a kitchen with everything just the way you want it. 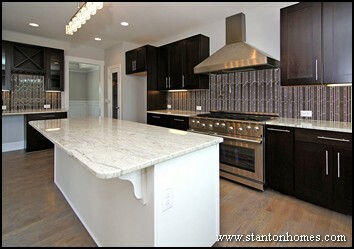 Ask your builder what he can do for you – and cook up a creative kitchen. 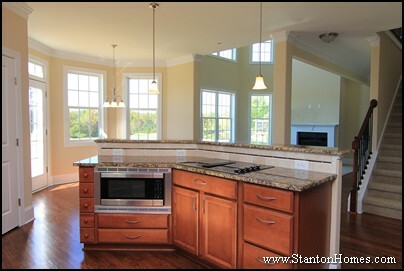 Stanton Homes kitchens on Pinterest. 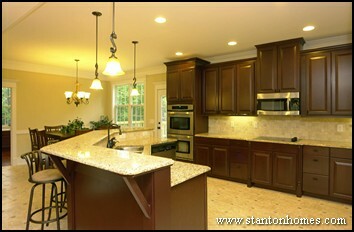 Kitchen photo tours - tons of designs in one place. 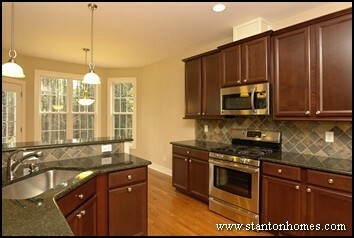 Are bronze appliances a new trend in custom kitchen design?